I'm using a smart object at two places (in the same file), and I need them to be linked, so that if I edit the content of one, the changes are applied on the other. And it's working fine… until I use one of these smart objects inside another smart object. From the moment I create this third smart object, the link is broken, and the content doesn't update anymore. One workaround is to use an external file imported as a link, but is there a way not to break the link in the first place? Here's the content of the 3rd smart object (the one called "bg copy" in the previous capture). To expand a little on what I said in the comments. In order to retain the Embedded Smart Object links, you need to keep them in the same document. Technically the contents of an Embedded Smart Object are in a separate .psb file, so that is a no-no. What you should do is copy the contents of bg copy Smart Object back to the main document and make new copies of the original Smart Objects to make sure they are in sync. Copying smart object layers, by default, makes the copy the same reference as the original. 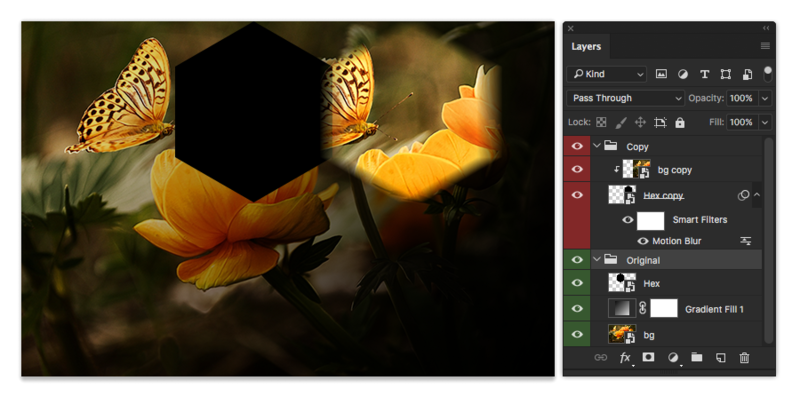 If you merely duplicate the smart object layer, you have 2 layers both with the same smart object contents. Edit one, the other will update to reflect the edits. I don't see the problem unless you are using New Smart Object Via Copy command by mistake. That particular command creates a new, unlinked, smart object. So, don't use that command if you want the smart objects linked to the same contents.